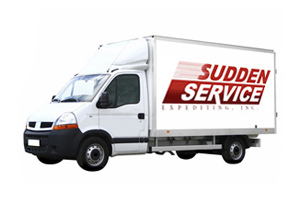 Final Mile Distribution – Sudden Service Expediting, Inc.
For custom delivery needs that include intercompany store to store, plant to plant, or distribution center to end user. Our company vehicle and driver solutions provide flexibility and control that delivers high customer satisfaction. Final-mile delivery assisting carriers, manufacturers, industrial distributors, specialized businesses needing protective service.